Our tutors are a talented and friendly bunch of people who enjoy helping our learners develop their skills. Rick has worked in the fitness industry for over 16 years, covering areas such as nutritional consultancy, personal fitness training, health and safety and gymnasium management. His experience is vast and varied. He is self-employed and runs a successful fitness, health and safety business in the east of England. He also works as a lecturer and assessor for various work-based fitness qualifications including Level 2 and Level 3 NVQs. 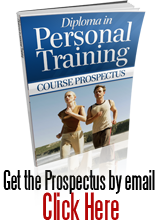 Ben has been qualified as a personal trainer since 2006. He loves working within fitness and has completed many professional courses. He enjoys the feeling of being healthy and energetic, which makes it easy to maintain a lean physique. Since working in the fitness industry he finds it hard to imagine himself doing anything else. Please note: we’re unable to allocate you a specific tutor, because it depends on the availability of tutors on the date you register on the course.